From Our Shelves Fiction Bookclub Meeting -- "The Silver Star"
From Our Shelves Fiction Bookclub is open to the public and meets at 7pm in the Upper North Room of Boulder Book Store on the fourth Tuesday of the month. Unless otherwise noted, the author will not be present at the discussion. Please join us! Malibu - The Malibu Book Group discusses "The Silver Star"
Diesel, A Bookstore in Malibu welcomes the Malibu Book Group back to the store to discuss The Silver Star by Jeannette Walls on Wednesday, August 13th at 4:45 pm. In a small town in California, 1970, “Bean” Holladay, 12, and her sister, Liz, 15, have been left to fend for themselves for a month or two. Their artistic mother has taken off to find herself, leaving them with a bit of money and an admonition not to forget to floss. When the police show up, the sisters jump on a bus headed for their Uncle Tinsley in Virginia. As they adjust to life in their new situation – taking odd jobs and baby-sitting, going to school – it is Bean who easily adjusts, while Liz becomes increasingly withdrawn. But when misfortune strikes, the girls learn hard lessons about the world’s flaws and injustices. From one of the bestselling memoirists of all time comes a stunning and heartbreaking novel about an intrepid girl who challenges the injustice of the adult world in a triumph of imagination and storytelling. Each ticket comes with a coupon for $5 off of The Silver Star! To redeem your coupon type the code SILVERSTR into the coupon code box when checking out. - Multiple coupons may not be combined towards a single book purchase. - The coupon may only be used towards the purchase of The Silver Star paperback, hardcover, or audiobook on CD. - Coupons expire on June 7th. Manchester: In Conversation with Jeannette Walls presenting "The Silver Star"
One of the greatest storytellers of our time, the acclaimed, bestselling, Jeannette Walls, in Conversation. An interview with Ike Pulver, Director of the Saratoga Springs Public Library. Jeannette Walls whose memoir, The Glass Castle, has been a New York Times bestseller for more than five years, returns with The Silver Star, a heartbreaking and redemptive novel about an intrepid girl who challenges the injustice of the adult world—a triumph of imagination and storytelling. Jeannette Walls was born in Phoenix, Arizona, and grew up in the southwest and Welch, West Virginia. She graduated from Barnard College and was a journalist in New York City for twenty years. Her memoir, The Glass Castle, has been a New York Times bestseller for more than five years. Walls lives in rural Virginia with her husband, the writer John Taylor. Ike Pulver is the Director of the Saratoga Springs Public Library. He is a past chair of the American Library Association’s Notable Books Council, which is charged with annually creating a list of the year’s 25 most noteworthy fiction, nonfiction, and poetry titles; and was a judge for the first Andrew Carnegie Medals for Excellence in Fiction and Nonfiction. This event is in store, free, and open to the public. Lily, Wall's grandmother, survived tornadoes, droughts, floods, the Great Depression, and the most heartbreaking personal tragedy. She bristled at prejudice of all kinds—against women, Native Americans, and anyone else who didn’t fit the mold. Jeannette Walls reads from her new novel "The Silver Star"
This event will take place in the Weyerhaeuser Chapel, on the campus of Macalester College. The Silver Star is a heartbreaking novel about a girl who challenges the injustice of the adult world. In 1970 in a small town in California, “Bean” Holladay is twelve and her sister, Liz, is fifteen when their artistic mother, Charlotte, a woman who “found something wrong with every place she ever lived,” takes off to find herself, leaving her girls enough money to last a month or two. When Bean returns from school one day and sees a police car outside the house, she and Liz decide to take the bus to Virginia, where their Uncle Tinsley lives in the decaying mansion that’s been in Charlotte’s family for generations. An impetuous optimist, Bean soon discovers who her father was, and hears many stories about why their mother left Virginia in the first place. Because money is tight, Liz and Bean start babysitting and doing office work for Jerry Maddox, foreman of the mill in town--a big man who bullies his workers, his tenants, his children, and his wife. Bean adores her whip-smart older sister--inventor of word games, reader of Edgar Allan Poe, nonconformist. But when school starts in the fall, it’s Bean who easily adjusts and makes friends, and Liz who becomes increasingly withdrawn. And then something happens to Liz. Jeannette Walls, supremely alert to abuse of adult power, has written a deeply moving novel about triumph over adversity and about people who find a way to love each other and the world, despite its flaws and injustices. 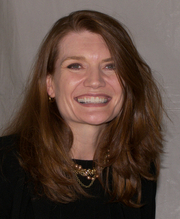 ---- Jeannette Walls was born in Phoenix, Arizona, and grew up in the southwest and Welch, West Virginia. She graduated from Barnard College and was a journalist in New York City for twenty years. Her memoir, The Glass Castle, has been a New York Times bestseller for more than five years. Walls lives in rural Virginia with her husband, the writer John Taylor. Join us for informal book discussions on topics of mystery and other genres. Jeannette Walls's book Half Broke Horses was available from LibraryThing Early Reviewers. Jeannette Walls is currently considered a "single author." If one or more works are by a distinct, homonymous authors, go ahead and split the author. Jeannette Walls is composed of 5 names. You can examine and separate out names.